Hockey is the lens through which we see our lives—how we measure right and wrong, how we understand our hopes and fears. So it was for Dave Bidini in 1974, the last year Dave Keon played in Toronto. In a new grade in a new school, Bidini found himself the victim of a bully—a depredation he could understand only by thinking about what the Leafs’ dauntless captain went through game after game. Throughout his twenty-two-year career, Keon was only in one hockey fight, in his last game as a Leaf on April 22, 1974. It was on this day that the eleven-year-old Bidini decided to fight back, an occasion that the writer looks back on with breathtaking courage and honesty. 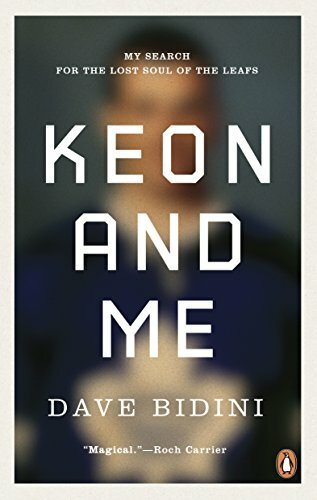 Told in two narratives—one from the point of view of the young Bidini growing up in Toronto in the early ’70s and one from the perspective of the man looking for his absent hero—Keon and Me tells not only the story of a hockey icon who has haunted Toronto for decades, but of a life lived in parallel to Keon’s. It’s the story of cultural change, an account of the tribulations of the NHL’s most beloved (and most despised) franchise in the decades since Keon left under a cloud, and most of all it is a story of growing up, with all the wisdom and sadness that imparts.